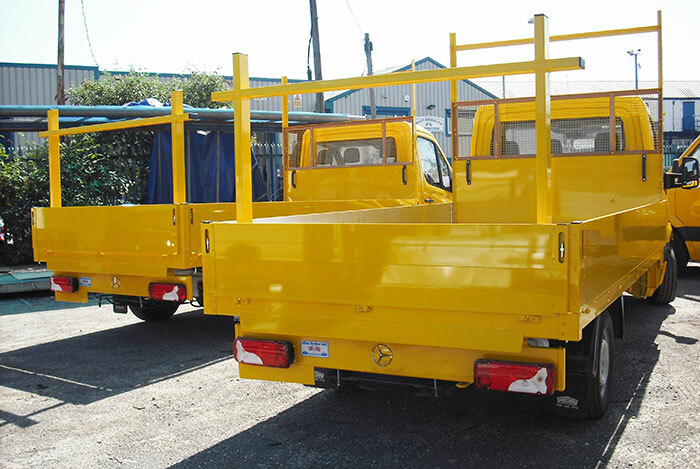 The dropside product is a generic description for a variety of body styles that suit a range of market sectors Builders Merchants, Scaffold carriers, Platforms, PSK, Gas Bottle Carriers. At Alloy Bodies we have a wide range of experience in all of these markets from lightweight aluminium through to heavy duty off road applications. Once again most dimensions are tailored to suit, subject to legal and type approval constraints. 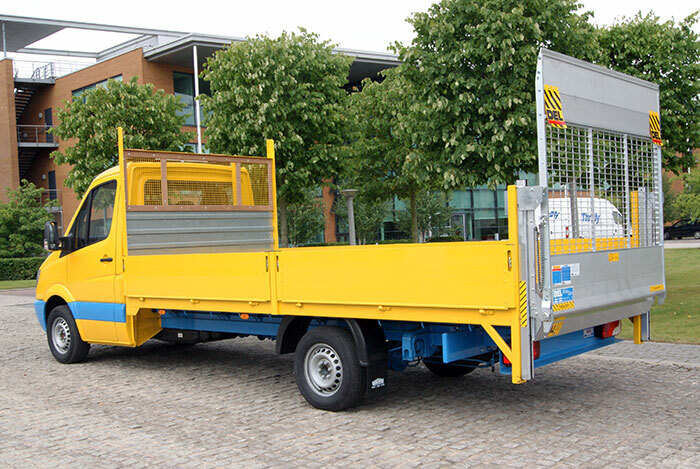 Dropsides can be configured in various ways with single, double, triple or even quadruple sections at heights of up to 900mm on larger vehicles. Tilt canopies and ‘A’ frames with PVC covers are available to aid weather protection and cargo constraint. Load gantries can be incorporated for longer items to be stored over the cab and coupled with a comprehensive choice of load restraint solutions.